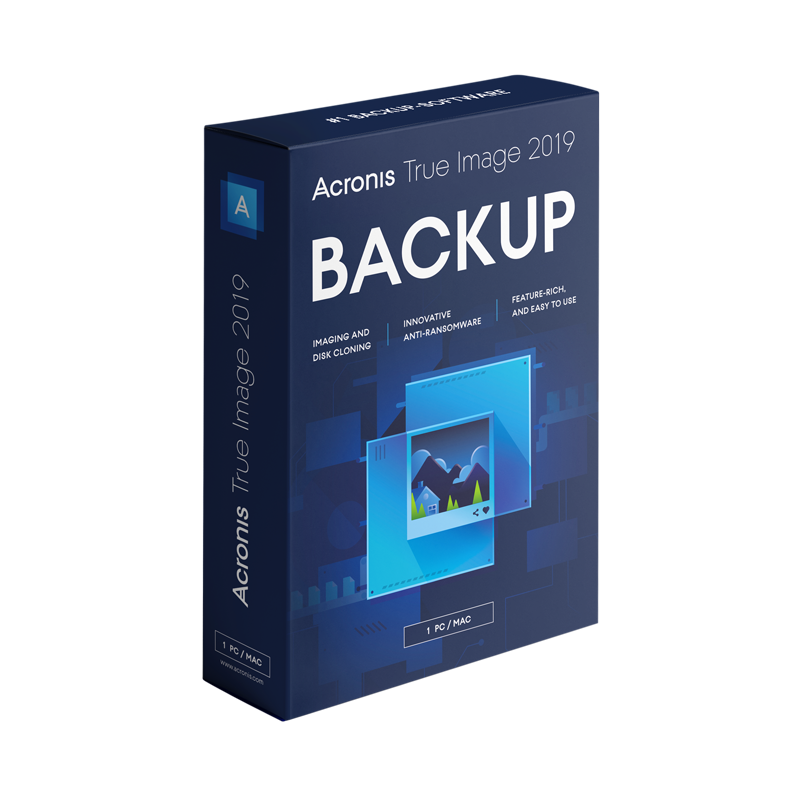 Acronis True Image delivers complete cyber protection, combining easy-to-use, efficient backup with a proven AI-based defense against ransomware to create the most secure personal backup available. Back up everything: including operating systems, applications, settings, photos, videos, files, and social media accounts on your PCs, Macs, iOS and Android devices. Dual protection ensures quick recovery from locally stored and cloud-based backups. More than 5 million customers worldwide rely on Acronis to protect their data every day. Control your data how you want, where you want with an intuitive, web-based dashboard and graphic interface. Just two clicks for a full image backup, and you can clone Windows or Mac system even while it’s in use.